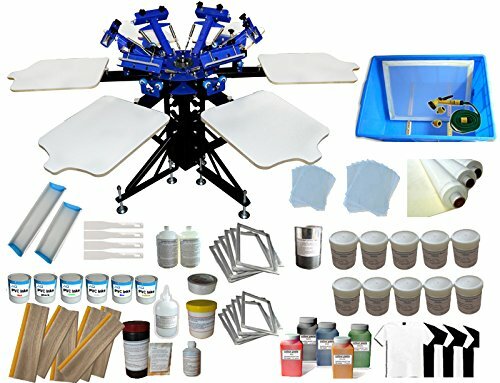 this 6 color 6 station screen printing package with all stuff needed by a small screen printing workshop. This press does not come with bracket. There are some small screws for you to fix the platen onto the pallet. Each platen comes with 4 screws. New design metal stand could adjust the height from 28"-35". The installation is also easier than before.